It’s hard work, and consumers don’t even appreciate it. Sixty percent of internet users can’t remember what the product or company was from the last banner ad they saw, and less than three percent thought it was relevant to them. Ad blocking has grown by over 50 percent in the last few years. One third of all users find display ads of any kind absolutely unacceptable. But can you blame them? The average internet user in this country is bombarded with literally hundreds of ads every day. But advertise, we must. There’s no question. Advertising is the bridge between businesses and their customers. So what can we do? Cheer up. The fact is, display advertising is NOT crap. You just need to overcome banner blindness. Banner blindness is the number one killer of effective banner advertising. With 86 percent of readers turning a blind eye to those banner ads headlining their pages, more focus needs to be paid to the creativity and location of those ads for maximum impact. If you buy banner media placement, you know how impactful those banners COULD be. After all, they’re right in front of the readers’ eyes. Why aren’t they getting the attention they deserve? The answer is in the art of filtration. Consumers have become numb to the many blinking, colorful, in-your-face ads that decorate every page they land on. With so much information coming at them, they naturally filter out what is unnecessary and they focus on their task at hand. A banner ad is simply seen as an interruption in their online journey, taking their focus away from the main goal which is to seek immediate information. This filtering of relevant information all happens subconsciously in many cases…and sometimes it’s intentional. Consumers have bad experiences clicking on a banner ads all the time. Perhaps the page they’re taken to doesn’t come close to matching the promise of the banner. Maybe the page takes a lifetime to load, leading to frustration on the part of the user. Or maybe the link is a scam, hardly worth the time to click on it. When the consumer knows in their mind that 9 out of 10 times when they click on a banner ad, it won’t be useful, the chances of changing their minds can be fairly impossible. That being said—when done right, banner ads are a very serious money maker. 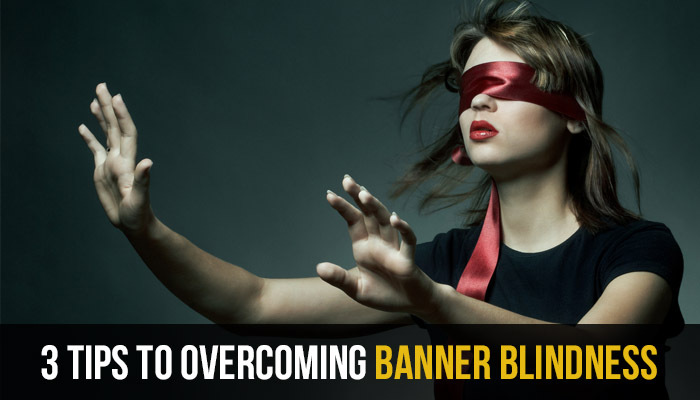 If you can overcome banner blindness, you can overcome any obstacle to the sale. Be Surprising, Engaging, and Relevant. This is the holy trinity of great creative ads. Marketers spend so much time trying to capture the attention of readers with a lot of flash and dash but little relevancy, or with too much text and not enough visual pop. Or, when they get the click but the landing page doesn’t deliver on the promise, users leave with a bad taste about the brand. Without all three of these elements—surprise, engagement, and relevance—your banners will just pour money down a well. You have to find your way to that sweet spot at the intersection of surprising, engaging, and relevant. To do that, you have to know exactly what will bring an interested customer to a relevant landing page. Then you have to present it in a way that they haven’t seen before. The marriage of business messaging and great design has to be solid, and it has to make sense. And it has to be creative. Use applicable visual messaging—communicate through images first, then add text for clarity and specific offers. Readers are inherently selfish; they want to know how you can help them overcome a problem or how to help them save money. When you address a core value with something they recognize, you get their attention. Offering a way for the consumer to engage with the content builds instant trust. Motion helps your ads tell a story; following a story is engagement. Asking a question gets them thinking about your offer; thinking about your offer is engagement. Use simple, uncomplicated ideas. Stick to exactly one message per banner ad, and get creative with it. Think outside the box…and avoid clichés. Surprise them with something unusual; engage them with something they’re interested in; be relevant to them with a specific offer you know they want. Real estate agents use the “location” mantra like it’s the first two rules of Fight Club: unbreakable and unalterable. Where a home or business is located will make or break how well a property sells. The same is true in online advertising: where you place your banner can mean the difference between getting a passing glance from the user or earning a click from that same user. Many marketers assume the top of the page is the best place for a banner since it stands to reason it would capture readers’ attention first. Not always so. According to a recent study, ads appearing next to the right scroll bar in the lower right-hand corner of the first page experienced a 228% higher click-through rate than ads placed at the top of the page. In addition, ads that appeared 1/3 down page, rather than the top, generated 77% higher click-through rates. The shape and size of your banners are your ticket to placement. The 728×90-pixel “widescreen” banner is perhaps the most popular, but typically the top of the page, where they are likelier to be ignored, or beneath the content, after the user’s interest window is closed, is where you’ll find placement for that size. The 160×600 “skyscraper” is better suited to sidebars, and the nice, pleasing 300×250 can go all over the place. So instead of only hoping to be in the right place at the right time, create multiple sizes and shapes of your banner…and be everywhere at the right time. Even if you come up with a killer idea for your banner ad, with the perfect imagery and perfect location, there’s really no definitive way to tell if it will be a success without taking a proactive approach and testing the results. 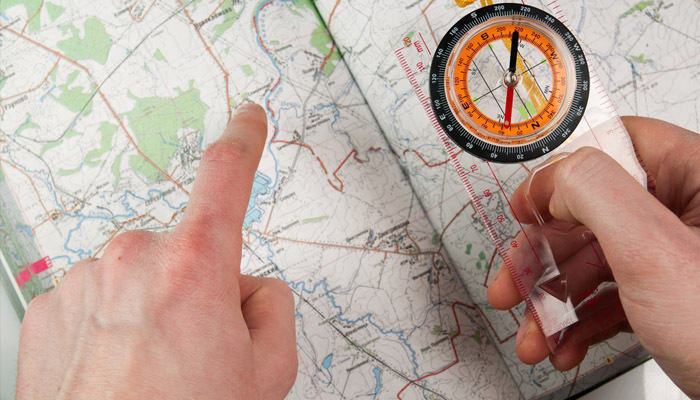 Measure your impressions, clicks, and more importantly, your click through rate (CTR). Your CTR will tell you how engaging and surprising your ads are. But most importantly of all: measure your conversion rate. Your conversion rate will tell you how relevant your ads are. Studying the facts is crucial, so get comfortable with numbers. Which ads are reaching your heavy users? Which ones are being virtually ignored? Which banner ads are converting visitors into customers? Remember: you won’t know for sure which ads overcome banner blindness until they actually do it. So keep an eye on those analytics, and make adjustments accordingly. Remember these three things: creativity, location, and testing. Those are the things you need most when advertising with banner ads. But also, above all else, remember to keep at it. You can overcome banner blindness. It might not happen right away, but that’s okay. Michael Jordan didn’t sink every throw, Mickey Mantle didn’t hit every pitch, and your display ads won’t get the click every single time. Advertising, like any aspect of anything that was ever successful, demands persistence. 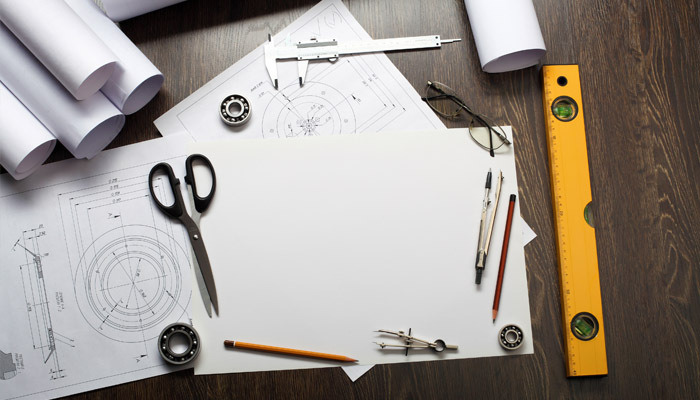 This post was written by Custom Creatives, who’s been in the industry since 2004.